Whether it’s new window treatment or a brand new stove, touch-ups to your kitchen space cost money – and sometimes a lot. To ensure that you get the best look for the best price, it is quite vital to keep a watchful eye on that budget and your available options. Never just “wing it” by loosely pointing to a material that looks good; find out as much information as possible regarding your choice in floors, cabinets, countertops, and any other elements relevant to your renovation. And that is just what we are going to help you with today: exploring your options by showing you some trendy touch-up choices that a lot of homeowners are picking for their kitchens these days. Despite being top-of-the-range options for years when it comes to kitchen backsplashes, granite and marble are definitely also the more pricey choices. If your budget is not built for that, then rather consider a ceramic alternative. To keep this kitchen looking warm and cosy, the kitchen planners of the space above paired the backsplash with wooden cabinets. 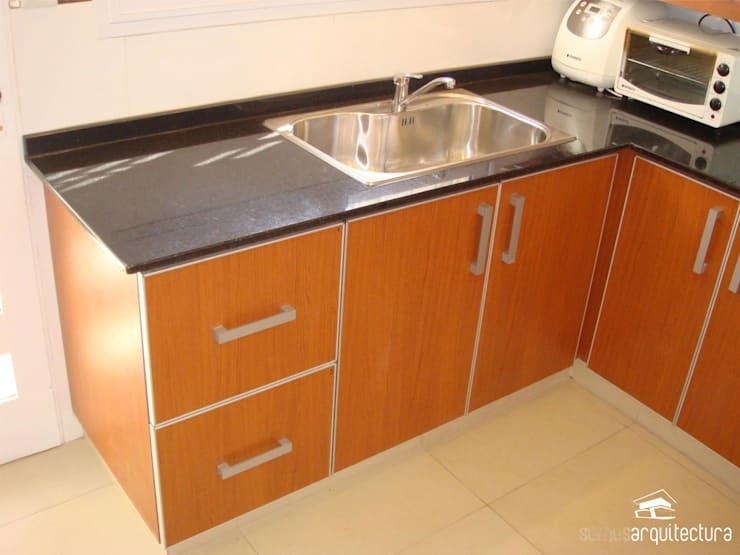 Granite is undoubtedly one of the popular options when it comes to interior spaces, kitchen or otherwise. And since it’s available in a range of different options, you will definitely find the look that fits your design scheme. However, careful consideration is required to find the best price – even the application costs can be kept to a minimum by not picking the very first option that’s presented to you. 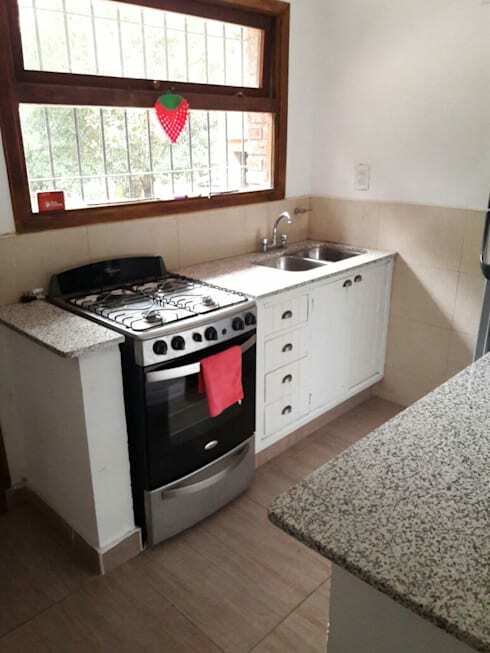 It’s definitely not necessary to tear out your entire kitchen and start from scratch. 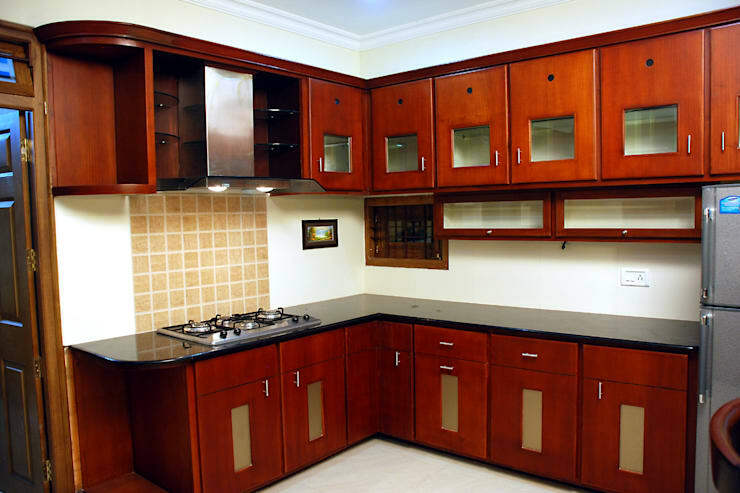 If those cabinets are still in good condition, they can continue to live on in your kitchen space, albeit with a different look. Treat them to a good sanding before splashing a fresh coat of paint on them. You can even consider removing some of those cabinet doors to revitalise the look of your kitchen’s storage compartments. In case you want to consider other wooden materials at a cost-effective price, we recommend lamination. Like granite, you should never just go with the very first option if price is an issue for you. Pine wood, for example, can still get that renovation job done with style, even though it comes in much cheaper than some of the other timber options. Be sure to talk to a professional about your dream kitchen’s look, but also your available budget. Ever heard of MDF? Medium-density fibreboard is an engineered wood product created by breaking down hardwood or softwood residuals into wood fibres. 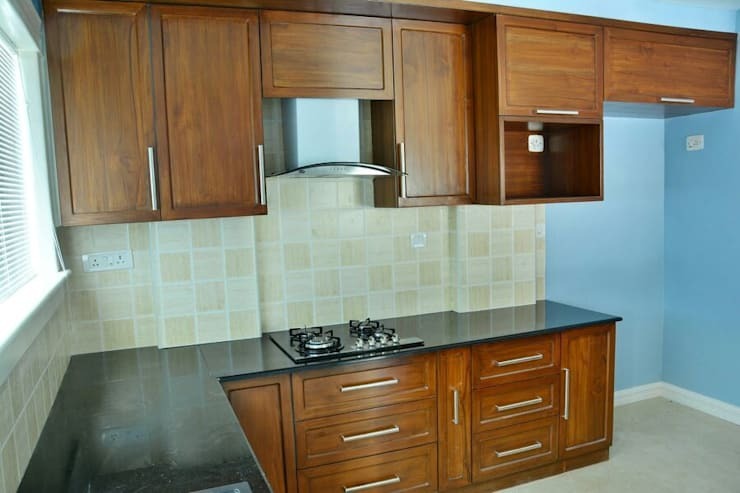 It is a more budget-friendly option that normal wood, which means it could very well be the ideal option for your new kitchen cabinets and other furniture. And once you splash a new colour of paint on it and pair it with other materials, like marble or concrete, nobody will be the wiser! Stone counters can be another clever lifesaver for your budget. Decent research and recommendations will definitely lead you to more pocket-friendly stone options that still have that brand-new look. Best of all is that they are available in different colours and can be combined with ceramic tiles/bricks for a striking new look. Don’t think that a bright and shiny look is out of the question due to your budget; mini brick-tile mirrors are quite the trend these days, and are an expert choice for adding shine and colour to any space, including your kitchen splashback. Pair them with raw timber cabinets for perfect contrast, or add mirrored cabinet doors for some extra shine. Microcement is gaining extreme popularity in the design market due to its versatility. It’s a cement-based coating for floors and walls that’s about 2-3 mm thick. 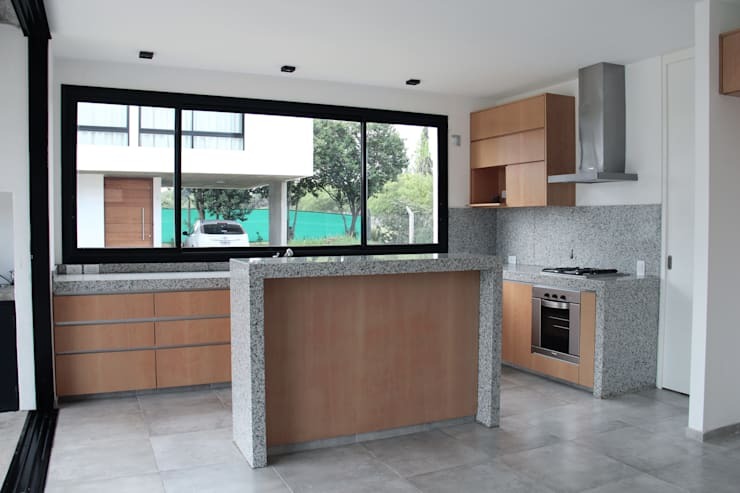 And due to its excellent bonding power, microcement can be applied to almost any kind of stable surface – like, for example, a kitchen counter. 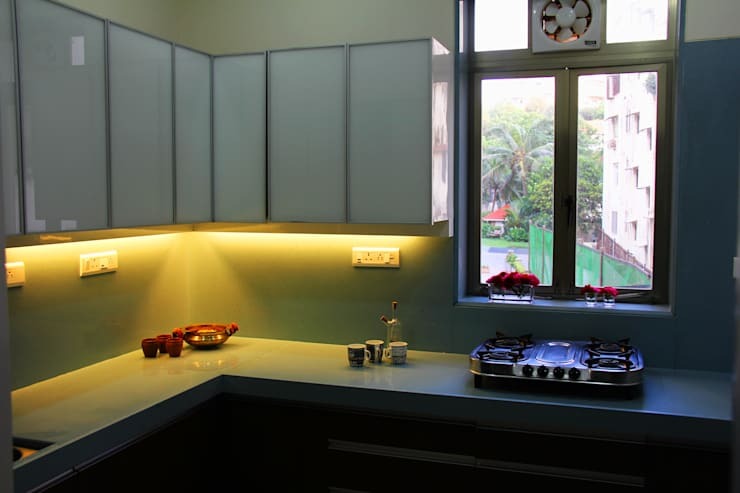 Thus, it can bring the perfect aesthetic appeal to your modern or industrial-style kitchen. 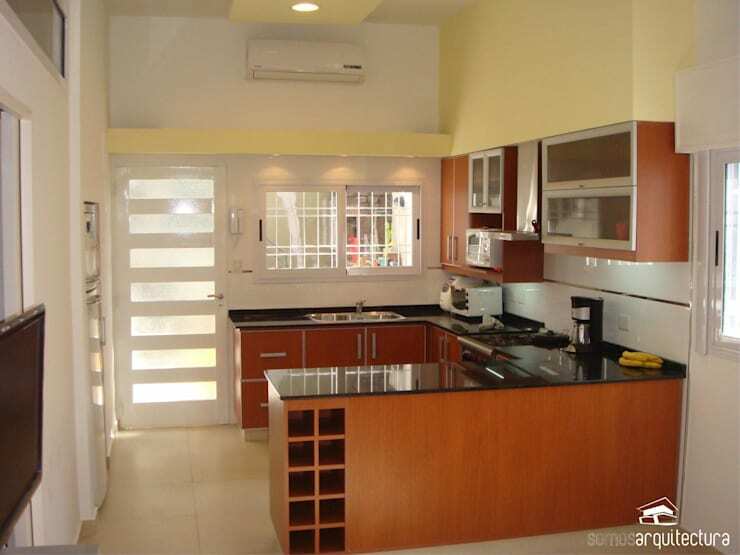 A beautiful kitchen will only bring you so far – it needs to be kept spotless as well. Luckily we have the know-how when it comes to: Cleaning Your Kitchen Equipment. 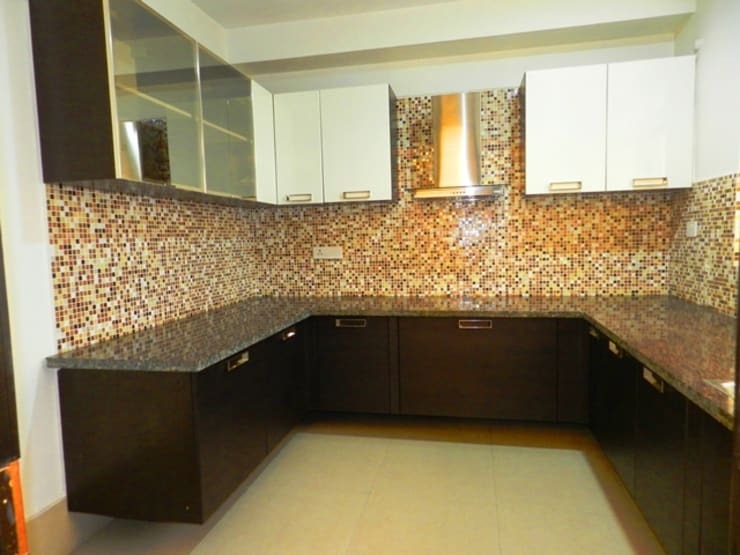 What other cost-saving tips do you have for us when it comes to spicing up a kitchen?